Porsche 924s 1986-88. As these are a common and disabling failure on our cars it is also useful to keep one in the vehicle as a spare rather than run the risk of being stranded in the middle of nowhere. 924S-(2.5 Models Only). 964 (911)- All Models. 944- All Models. Independent Porsche specialists for repairs, service, spares, salvage projects. A Genuine O/E New and Unused. advertised to be a used part unless otherwise stated. Porsche 996 C2 / C4 / C4S 1998-05. Porsche 996 GT3. Porsche 986 Boxster 1997-04. OEM fuel pump relay (original part number 99661510100) compatible with the folowing Porsche models OEM FUEL PUMP RELAY. Porsche 924 Fuel Pump Relay, 433906059. 1979-82 433 906 . Conditions is used. 911 Turbo 3.0 / 3.3 (75 - 89). PORSCHE BOXSTER 986. BOXSTER 986. COVERS BOXSTER UP UNTIL 1999. CABRIOLET / CONVERTIBLE ROOF RELAY. ROOF RELAY EARLY STYLE. GENUINE PORSCHE. CABRIOLET / CONVERTIBLE. 2016 - SteveStrange007 - Douglas Valley Breakers LTD. Brand new genuine Porsche 911 DME Relay 964 993 99361522701. 6 Volt turn signal flasher for 356, 356A, 356B and 356C models (1950-1965). Original part number 433906059. Fits Porsche 924 2.0l 1979 -1985. 1 x KAEHLER Fuel Pump Relay. A used headlight washer relay for 964 928 924 944 968 (1975-1991). We are not responsible for any costs involved in the fitting or re-fitting of parts should they be faulty. 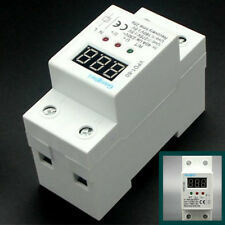 ROUND BLACK MULTIPURPOSE RELAY. Headlight Flasher. 911 (69 - 89). Series Resistor. Compatible with the folowing Porsche models Cigarette Lighter. Windscreen & Rear Window Heating. These are often a common and disabling failure on 911s so it is also useful to keep one in the vehicle as a spare rather than run the risk of being stranded in the middle of nowhere. Fits Porsche 924S 944 968 and 964 993 Carrera. The most Porsche owners keep a spare for a good reason. This is the first step to fix No Start problems. MADE IN GERMANY99361522700 / 99361522701. A used indicator relay for Boxster 986. FOR PORSCHE BOXSTER 986. This is an original quality part manufactured by Bosch. Vehicle compatibility. Part specifications. This item has been removed from a Porsche 911 964. Porsche 964 ABS Relay - 928.615.124.03. The sale of this item is for the relay that can be seen in the pictures above. 4H0 951 253 C. Glow Plug Heater Relay. Porsche 911 Carrera 3.6L H6 (997). Porsche 911 Carrera 3.6L H6 (997.2). Porsche 911 Carrera 4 3.6L H6 (997). Porsche 911 Carrera 4 3.6L H6 (997.2). Porsche 911 Carrera 4S 3.8L H6 (997). 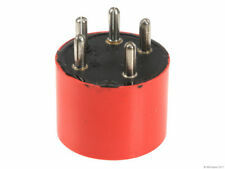 Wehrle round red relay. Porsche 911. REMOVED FROM A 911 PORSCHE. fuel pump Multi relay. Porsche 924 928 944 968 964 968 993 Boxster. No.53 Relay. Changed your mind?. Genuine Porsche Used Part. Porsche part Number:928.618.111.00. 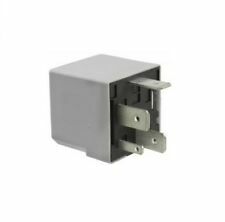 Porsche 928 S4 Heated Seat Relay - 928.618.521.03. Porsche 928 S4. This item has been removed from a Porsche 928 S4 that we are breaking for parts. 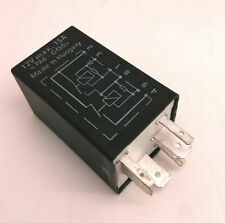 Heated Seat Relay - 928.618.521.03. 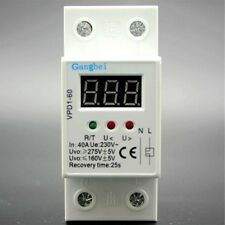 The sale of this item is for the relay that can be seen in the pictures above. New Unused in box with bracket. Superseded 911 618 154 01. Part No 911 618 154 00. 1989 Porsche 928 S4 Heated Rear Screen Relay - 928.615.115.00. 1989 Porsche 928 S4. This item has been removed from a 1989 Porsche 928 S4 that we are breaking for parts. Heated Rear Screen Relay - 928.615.115.00. 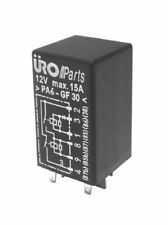 Other part number: SK6466. 12v max 16A ind. 924 Turbo. Used genuine VW/Audi relay. Also fits 1978 - 85 Porsche. Genuine - Original Porsche Carrera 996 - Boxster 986 Throttle Cable 99642339300 -996.423.393.00. Removed from UK - GB - 2001 Year Porsche Boxster 986 Donor Car. Used - Clean - Genuine Porsche - Fully Working. Genuine Porsche 944 & 928 Alarm System Relay. The relay is once broken, the car will not start again. 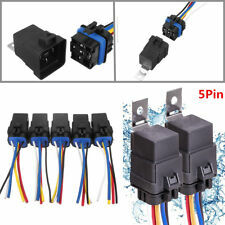 Reference (s) OEM: Fuel pump relay. 99361522701, 993.615. 227.01, 993 615 227 01. EAN 7426789953369. Proven Quality. 33100 Paderborn. Porsche 944. This item has previously been removed from a Porsche 944 that we are breaking for parts. This is a used item that is being sold in good working order. Porsche 911 964 Fuel Pump Relay. Porsche Part Number :993.615.227.00. This was removed from a 2006 Porsche Cayenne S 955. Engine capacity - 4511cc. This was a UK car, standard RHD. Transmission - 6 Speed Automatic. Genuine Porsche 944 Sunroof relay, P/n.944.615.117.021986-88 944 615 117 02. Genuine Porsche - Used - Clean Dry - Working. Steve Strange. Fits Porsche 924 1979 -1985. Fuel Pump Relay. The most Porsche owners keep a spare for a good reason. This is the first step to fix No Start problems. MADE IN GERMANY. HRW Heated Rear Window Relay. Porsche 944 968 (1986-1995). Changed your mind?. What you see is what you will receive. Inverness -ALL. Orkney and Shetland - Orkney KW15-17 and Shetland ZE1-3.